Why would anyone write a poem to a thing? Because it's fun! And it can also be a challenge. You need to really observe the thing and discover what you might say to it. Then, of course, you'll need to find the right words to make it come alive. When kids get older, they'll probably study more complex words like "apostrophe" and "personification" to describe what the poems are all about, but, for a younger student, this book makes learning about address poems effortless! trying for those wormy apples. and fill their pails with cream. with its hot breath and sweaty collar. and stays close to the car. is sure to be a joyous celebration this last day of National Poetry Month. Poem in Your Pocket Day is a project of the Academy of American Poets. The perfect book for the day is Pocket Poems, selected by Bobbi Katz [JP 811 POC]. 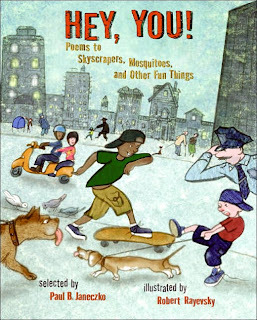 There are short, appealing poems by children's writers such as William Cole, Dee Lillegard, and Lilian Moore, as well as a few written by adult writers such as Emily Dickinson and Carl Sandburg. New York City celebrates the day and explains how poet John Waldman uses a poetry activity called "The Envelop Project" to get students involved in poetry. There's no reason why a group of adults couldn't do it, too! For directions, click here. When you visit the library today, pick up a poem to put in your pocket or to share. It's a nice way to wind up National Poetry Month, don't you think? In the early 1960's, 16-year-old Jenny Mellor lives with her parents in a London suburb. She is smart, pretty, and working toward her goal of being accepted into Oxford. Her life will take a big turn when she meets David, a man twice her age. Now she must decide if she will pursue an education at Oxford, or if she will choose to learn all that a charismatic, older man can teach her. The classic British comedy starring Hugh Laurie and Stephen Fry includes all 23 episodes of the acclaimed series based on P. G. Wodehouse's beloved stories..
Bella is still very much in love with Edward. The rest of the vampire coven who call themselves the Cullens, especially Alice, decide to throw Bella a private party for her eighteenth birthday. Things go wrong when Bella cuts her finger and thirst overcomes the vampires. As a result of the danger Bella was put through, the Cullen family decide to leave Forks, Washington. Bella becomes so depressed that she exempts herself from all social activities. But, she realizes she can coexist with childhood friend, Jacob. As usual for Bella, things aren't what they seem. Something is happening to Jacob that he can't explain to Bella, and their friendship starts to deteriorate. But when Alice returns to tell her that Edward thinks she is dead, Bella must go on a journey to save Edward from wanting to die himself. This is the story of a group of women who volunteered to serve their country during World War II and became the first group of women pilots in military service. If you're a reader, as my mother would say, "whose eyes are bigger than his stomach," than borrowing books can result in fines. If you borrow too many you never finish them all in time, and, a few always seem to fall under the car seat. Some are always bound to be returned late. Our five cents a day fee isn't much of a penalty if you ask me! Last week I read an article about two books that George Washington had borrowed and neglected to return to the New York Society Library back in 1789. It has been estimated that the fines due would be $300,000! Now that would qualify as a penalty! pragmatic idealists who fuse the tools of the digital age with their love for the written word and the enduring values of free speech, open access, and scout-badge-quality assistance to anyone in need. 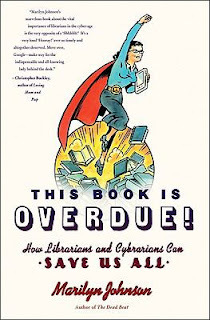 Those who predicted the death of libraries forgot to consider that in the automated maze of contemporary life, none of us—neither the experts nor the hopelessly baffled—can get along without human help. If you've ever wondered what those little numbered triangles on the backs of plastic containers mean, then, I can help. Here's a chart from americanchemistry.com. There is all sorts of additional information on plastics available at americanchemistry.com, including recycling tips. Just remember, the website is published by the American Chemistry Council, which "represents the leading companies engaged in the business of chemistry," so they do have an obvious bias and agenda! A recently published (2010) book is The Story of Stuff: How Our Obsession With Stuff is Trashing the Planet, Our Communities, and Our Health--And a Vision for Change by Annie Leonard [306.4 LEO]. 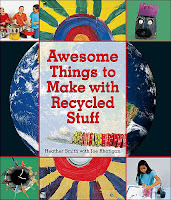 The book is based on the popular video that has been available online for several years. It's below, but, it is more than 20 minutes long, so watch it when you have time to concentrate. 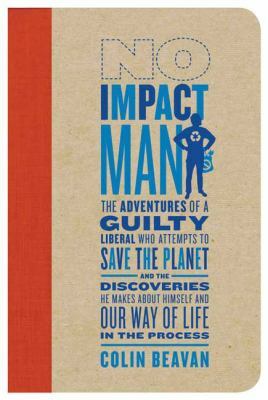 There are not only environmental issues with "stuff," there is also a whole moral/ethical issue which is also explored in A Year without "Made in China": One Family's True Life Adventure in the Global Economy by Sara Bongiorni [382.6 BON]. Overconsumption, processed foods, and the "buy local" movement, are part of another environmental aspect that has garnered a lot of attention--eating. Waste: Uncovering the Global Food Scandal by Tristram Stuart [363.8 STU] or the film, Food, Inc. [DVD 338.4 FOO] might be two titles of interest. 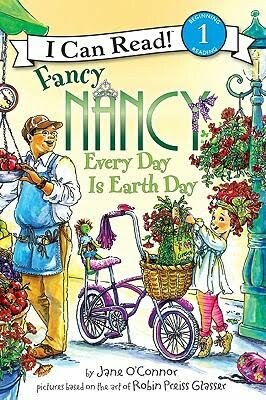 There's so many more Earth Day-type subjects to explore, but I'll leave them for another day! Amy Lowell (1874-1925) was a Massachusetts girl, and, like many other New England poets, she wrote about the natural world around her. 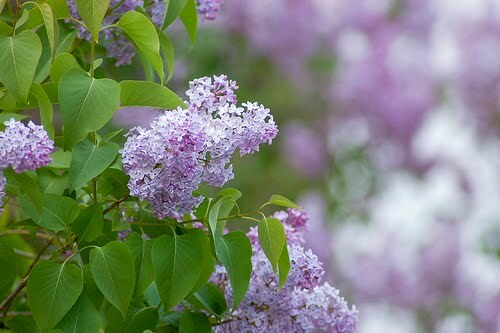 Here is just a part of Lowell's poem, "Lilacs," which you can't mistake as being the product of anyone other than a New Englander! It is nearly lilac time here in New Hampshire, and I can't wait! Visit Picture Book of the Day for this week's Poetry Friday Round-Up. Have a great weekend! Tomorrow is Earth Day, and to start off the celebration, I'd like to introduce you to a middle-school teacher who takes the term "reuse" to artistic heights! His name is Brian Marshall and he uses metal parts such as screws and funnels, combines them with old cameras, pencil sharpeners, forks, and other found objects to construct creatures he calls "Adoptabots." Not only is Marshall making art, he has also created a source of income since he sells his objects on Etsy for a nice piece of change. Marshall's bots also include practical designs such as lamps and clocks. He has photos of his creations on a Flickr photostream. Check it out! On April 8, illustrator John Schoenherr, passed away. 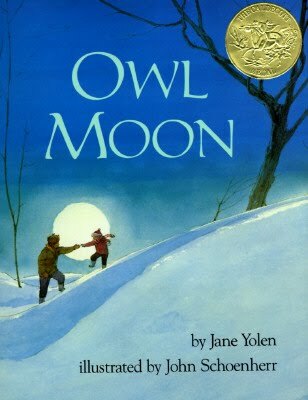 If you're at all familiar with children's books, then you'll recognize Schoenherr as the winner of the Caldecott Award for best illustrated children's book, in 1988, for Owl Moon by Jane Yolen [JP YOL]. His obituary in the New York Times revealed another side of Schoenherr that I was completely unaware of--he was an accomplished illustrator of science fiction! What Happens When You Check Out More Than 211,000 Books? You have to reshelve them when they are returned to the library! Imagine that--putting 211,000 books, in order, back on the shelf! Here's the most astonishing detail--all those books are shelved by volunteers! So, to honor our dedicated volunteers we hold an annual celebration of appreciation. Last Thursday was our 2010 celebration with speeches, awards, conversation, and FOOD! Our theme this year is Nesmith Library Volunteers Rock! Our Volunteer of the Year award went to Jeanne Rouleau (shown on the right with Library Trustee, Mary Lee Underhill on the left), and a special award was issued to Steve Machovic, in memory of his late wife Marie, a long-time volunteer who is now sorely missed. Without volunteers our Library would come to a screeching halt! We are eternally grateful! Actually, you should take a walk outside--it doesn't have to be a strenuous hike, simply walk and LOOK. Writer, Ralph Fletcher, who, by the way, at one time lived in New Hampshire, is a great walker. A result of his walking was a book of poems entitled, Ordinary Things: Poems from a Walk in Early Spring [J 811 FLE]. 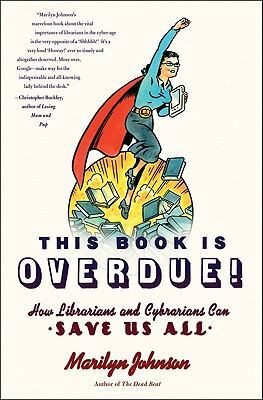 Sadly, this book is out of print, but, luckily for you, the library owns a copy! The poems in this collection were inspired by all the seemingly ordinary things he passed on the four-mile walk he would take every afternoon. I would love to know how Fletcher wrote these poems--did he compose them in his head and write them down upon his return home? Did he carry a recorder, or a little notebook? Did the poems spring to life after a good night's rest and his subconscious got a crack at his experiences? of their land to build these walls. getting loose and running amuck. For this week's Poetry Friday Round-Up head over to Seven Impossible Things Before Breakfast to see what Jules has gathered for us. Two days ago I posted about chicks and ducks and geese. I was walking through the lobby yesterday and saw a sign for a free UNH Cooperative Extension program, "Managing a Family Chicken Flock: Basic Needs and Common Problems." It will be held Wednesday, April 28, in Brentwood for more information call Deb at 679-5616 or email deb.stevens@unh.edu. There must be something in the air that have everyone thinking about domestic fowl! Bunting, Eve. Hurry! Hurry! [JP BUN]All the animals of the barnyard community hurry to greet their newest member, who is just pecking his way out of an egg. 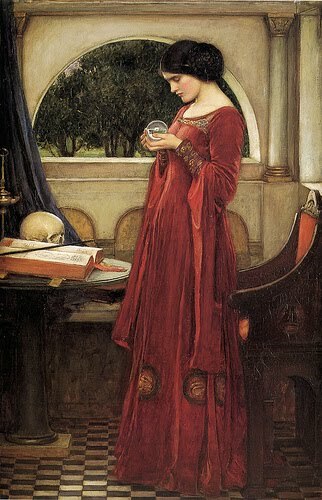 Friend, Katherine. The Perfect Nest. [JP FRI]With hopes of making a delicious omelet, Jack the cat builds a nest to catch a chicken, but ends up attracting more than the bird. Golson, Terry. Tillie Lays an Egg. [JP GOL]In search of the perfect place to lay her egg, Tillie the chicken leaves the barnyard and explores the farmhouse. Helakoski, Leslie. Big Chickens Fly the Coop. [JP HEL]Four chickens leave the coop in search of the farmhouse and are surprised by the things they discover. Himmelman, John. Chickens to the Rescue. [JP HIM]Six days a week the chickens help the Greenstalk family and their animals recover from mishaps that occur on the farm, but they need one day to rest. There are plenty more, so visit us soon! This exhibition features extraordinary works by such nationally known masters as Winslow Homer, Maurice Prendergast, Childe Hassam, Rockwell Kent, Edward Hopper, Charles Burchfield, John Marin, Charles Sheeler, Stuart Davis, and Andrew Wyeth. Drawn from the impressive collection the Currier has built over its 80-year history, these watercolors have not been exhibited as a group for two decades because of the fragile nature of the medium. The exhibition includes about seventy five works that trace the history of watercolor over the last 175 years. 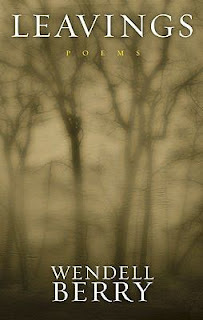 A strong representation of work by important New Hampshire artists ranges from portraits by nineteenth-century itinerant painter Joseph H. Davis to landscapes by New Hampshire Living Treasure award winner John Hatch and abstract compositions by contemporary painter and sculptor Varujan Boghosian. You can book the library's pass by going to our website. We have many art books that include the work of artists who are in the exhibit including, Two worlds of Andrew Wyeth: A Conversation with Andrew Wyeth[759.13 WYE], and The world of Winslow Homer, 1836-1910 [759.13 HOM]. For those interesting in learning more about how to paint using watercolors, we have many books on technique, most of which may be found in 751.422. Ever since I saw a tub full of ducklings the other day, "The Surrey With the Fringe on Top" keeps running through my head! "Chicks and ducks and geese better scurry..."
The little critters were awfully cute, and some people might be taken in by their cuteness and decide that they'd like to raise some domestic fowl. This is not something to be taken lightly! Little critters deserve the best of care! If, however, you are interesting in pursuing the art of raising chicks and ducks and geese, stop by the library and borrow this basic book: Barnyard in Your Backyard: A Beginner's Guide to Raising Chickens, Ducks, Geese, Rabbits, Goats, Sheep, and Cattle [636 BAR]. For other titles, browse the 636 section. Heaven-forbid, one of your animals is feeling a little under the weather, but if that happens you can consult A Veterinary Guide for Animal Owners: Cattle, Goats, Sheep, Horses, Pigs, Poultry, Rabbits, Dogs, Cats by C.E. Spaulding [636.089 SPA]. Did you see the story in Saturday's Lawrence Eagle Tribune about the Flying Chihuahuas? The Flying Chihuahuas aren't a circus trapeze troupe, they're Chihuahua dogs who have flown cross-country to be adopted here in New Hampshire. The Salem Animal Rescue League (SARL) has arranged for more than 50 little dogs to be adopted! Fabulous! My favorite Chihuahua book isn't about a dog, though, it's about a Siamese cat who resenbles, and believes, he is a Chihuahua! The book is Skippyjon Jones by Judith Byron Schachner [JP SCH, J AB/CD SCH, FT Kit SCH]. Skippyjon masquerades as the great Spanish swordfighter, Skippito Friskito. Don't miss it! 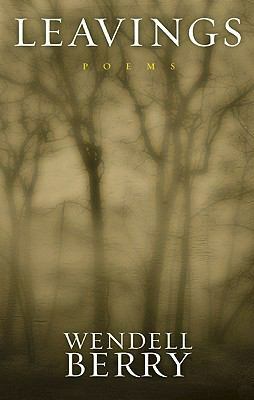 fall, like those who walk. If you visit Berry's website, you'll be treated to a podcast of him reading six of his poems! If you like listening, you can find a whole lot more by doing a simple Google search on "audio:Wendell Berry." Marjorie at Paper Tigers is hosting this week's Poetry Friday Round-Up--head on over! Representatives and direct Taxes shall be apportioned among the several States which may be included within this Union....The actual Enumeration shall be made within three Years after the first Meeting of the Congress of the United States, and within every subsequent Term of ten Years, in such Manner as they shall by Law direct. In other words, tax money coming into the state, and the number of Congressional representatives we have, are based upon numbers gathered every ten years. The census is important! The Census Bureau has plenty of information for you at its website. Check it out if you have questions. The Christian Science Monitor has had several articles on the 2010 census, presenting both positives and negatives, click here for a more general informational article, and here for an opinion piece on privacy issues. Visit our reference section and look at some of the information collected in prior censuses. 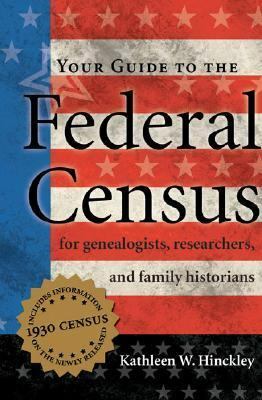 The Congressional Quarterly's Encyclopedia of the U.S. Census [R 304.6 ENC] covers a lot of census history up to 2000. Census information is extremely helpful to people investigating their family history. 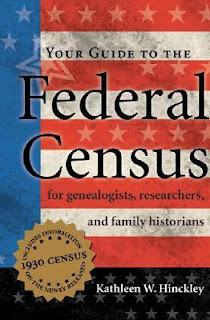 Your Guide to the Federal Census: For Genealogists, Researchers, and Family Historians by Kathleen W. Hinckley [317.3 HIN] will help you get started. With all the news about iPads and Nooks and other readers, one might get the impression that libraries are a thing of the past and destined for the dustbin of history. Not so! If the Nesmith Library is any indication, we are busier than ever and still growing along with the town. Our focus may have moved away from books exclusively, but we still have them--69,000 of them! If you'd like to read about the history of libraries, there's an article from History magazine online that I can recommend. It is full of interesting little facts and information, such as "The first public library in the country opened in Peterborough, New Hampshire, in 1833." Yay, Peterborough and the forward looking people of NH! libraries remained the domain of the learned: teachers, scientists, scholars. Where were the masses to go? To the imperial baths, of course! At the baths, men and women, rich and poor could take a bath, meet with friends, play ball--and read a book. This makes me shudder. Books and water--a BIG NO NO! If you'd like to learn more about the history of libraries, borrow Fred Lerner's The Story of Libraries: From the Invention of Writing to the Computer Age [027.009 LER]. If you want to know what libraries of the future will be, get out your crystal ball! Does it seem like there are an awful lot of do-over movies of late? In the past year we've seen Alice in Wonderland and Clash of the Titans, just to name two. You can read about some of Hollywood remakes in the making, including The Wizard of Oz, here and here. 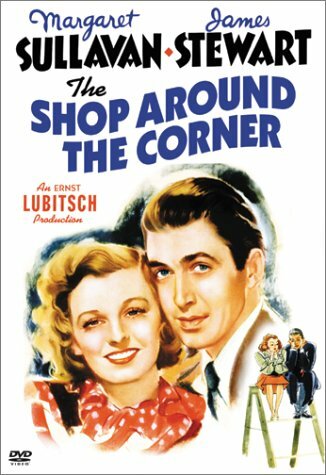 If you like to watch two versions of a movie and compare them, we have these do-over titles in our collection: King Kong, 1933 and 2005 [both DVD KIN]; The Parent Trap, 1961 [J VIDEO PAR] and 1998 [DVD PAR]; The Taking of Pelham 1 2 3, 1974 and 2009 [both DVD TAK]; 3:10 to Yuma , 1957 and 2007 [both DVD THR]; You've Got Mail, 1998 [DVD YOU] a remake of The Shop Around the Corner [DVD SHO] from 1940. 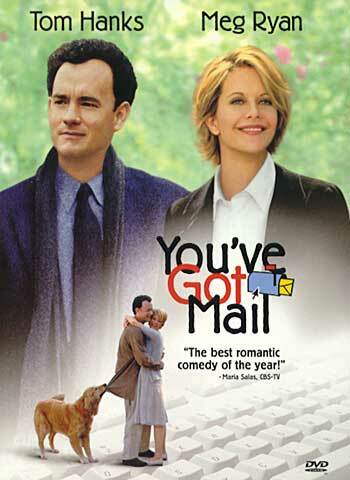 And then, of course, there are the Hollywood remakes of foreign films such as: The Birdcage, 1996 [DVD BIR], based on the 1979 French film, La Cage aux Folles [DVD CAG]; City of Angels, 1998 [VIDEO CIT], based on the 1987 German film, Wings of Desire [DVD WIN]; Fever Pitch, 2005, based on a British film released in 1997 [both DVD FEV]; Insomnia, 2002, based on a 1997 film from Scandinavia [both DVD INS]. You may have noticed the basket of yarn as you enter the nonfiction area of the library. For the past month library users have been dropping off skeins and balls of yarn and women of the American Legion Auxiliary have been collecting them. The yarn is then made into stunningly colorful laprobes that will soon be headed to VA hospitals for use by veterans. The Auxiliary has put up a display of some of the laprobes so that yarn donors can see the results of their generosity. Come down to the library to see the display and/or to drop off more yarn! And while you're here, browse through our crochet and knitting section  if you're inspired to make a laprobe of you own! You may have noticed that this week I've been doing posts about dragons, so, for this first Poetry Friday of National Poetry Month, I'm taking a look at dragon poems. Our children's collection is chocky-block full of dragon poems starting with Eric Carle's Dragons Dragons: And Other Creatures That Never Were [J 808.81 CAR] where you'll find "Dragon" by Anne McCaffrey, "Basilisk/Cockatrice" by Laura Whipple and a Chinese Mother Goose rhyme, among others. Jack Prelutsky's The Gargoyles on the Roof [J 811 PRE] has "Basilisk Brag." Marilyn Singer's Creature Carnival [J 811 SIN] contains "Dragon," while Julie Larios starts off her lovely collection, Imaginary Menagerie: A Book of Curious Creatures [J 811.54 LAR] with yet another poem titled, "Dragon." The dragon walks for miles and miles. This week's Poetry Friday Round-Up is being hosted by Book Aunt. Head on over and watch out for dragons along the way! Dragons are unique creatures. It makes you wonder who thought up the first dragon and what inspired the thought? There are lizards, iguanas, and other creatures that may have led to the development of the mythical dragon. One such creature is the frilled lizard. 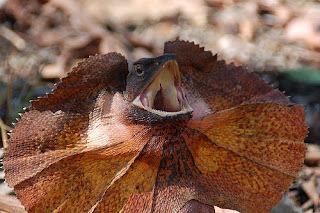 The photo below makes the frilled lizard look pretty fearsome. Imagine coming across one and thinking that perhaps there is a larger version out in world! Yikes! The Komodo dragon can grow to ten feet and weigh 300 pounds. Yikes, again! We have plenty more, too, so come browse the shelves.